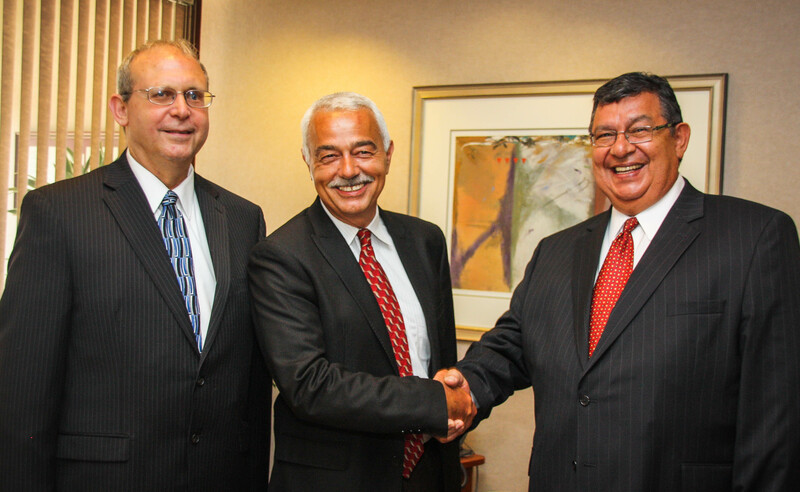 Shown at the ceremony during which the agreement was signed are (left to right): Richard Tardiff, CPA, International Business Partner at Gray, Gray & Gray; Joe Ciccarello, CPA, Managing Partner at Gray, Gray & Gray; and Oscar Gutierrez, Principal of OGC Contadores. Gray, Gray, & Gray is branching out, all the way to South America! We have signed a collaboration agreement with Bogota, Colombia based accounting firm OGC Contadores Asociados, Ltda., one of Bogota’s leading accounting firms, with a wide range of clients in Colombia. OGC Contadores Principal Oscar Gutierrez visited our offices in Westwood, MA to sign the formal collaboration agreement with Joe Ciccarello, managing partner of Gray, Gray, & Gray, along with Rick Tardiff, who is leading the effort as Gray, Gray & Gray’s International Business Partner. This cooperative agreement will lay a foundation for our firm to assist and support companies from South America that wish to do business in the United States. At the same time, OGC Contadores will assist U.S. firms in taking steps to do business in South America. By establishing this cross-border business relationship, both firms are well on their way to achieving their international strategic goals, and the potential commercial activity for the two firms will help both to grow in the global market. As members of CPAmerica International, Inc., an exclusive international organization of independent certified public accounting firms, Gray, Gray, & Gray has a rich history of quality international service to clients around the world. With this newfound collaboration we will be able to provide our top quality services to businesses in South America in order to help them expand into the U.S., while amassing further knowledge of the international tax landscape and business practices. We are extremely excited to begin our partnership with OGC Contadores. For more information, please contact Rick Tardiff, Gray, Gray & Gray’s International Business Partner, at rtardiff@gggcpas.com or by telephone at 781.407.0300. This entry was posted in Accounting, Business, Finance. Bookmark the permalink.